The Nets connected on 19 three-pointers (19-34, 55.9%) and shot 51.1% from the field (46-90) as a team en route to a 135-130 victory over the Nuggets. 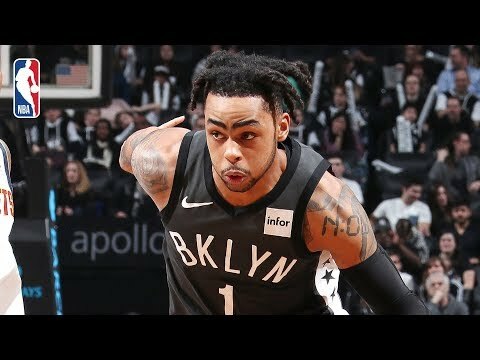 D?Angelo Russell led all scorers with 27 points (10-23 FG), to go with 6 rebounds and 11 assists for the Nets, while DeMarre Carroll added 18 points (3-8 FG), 10 rebounds, 6 assists and 4 steals in the victory. Nikola Jokic registered his 10th triple-double of the season (26th of his career) as he led the Nuggets with 25 points (8-13 FG), 14 rebounds and 10 assists. Jamal Murray also tallied 19 points (8-17 FG) and 11 assists in the losing effort. The Nets improve to 29-27, while the Nuggets fall to 37-17 on the season.